The Cheerson CX-10W is one of the least expensive drones you can buy with First Person View (FPV). We bought ours from Amazon for $36. It is a micro drone and is very similar to their other CX-10 models in appearance. While a camera and FPV in such a small package is compelling, this little drone does come with a couple of important drawbacks. The camera makes this drone heavy compared to other drones in the Cheerson micro drone lineup. The added weight significantly affects maneuverability and battery life. Unlike other models, the CX-10W uses touchscreen controls on a smartphone, which also makes it harder to fly than its other CX-10 siblings. The good news is that you can also pair this to another CX-10 remote if you have one and prefer to fly with the joysticks, which are easier to use. The CX-10W stands a little taller than its brothers at 7/8 inches and has the same 2.25 inch diagonal wingspan. A full charge will last about 4 minutes, but it charges quickly. A full charge only takes about a half hour. The CX-10W connects to your phone via WiFi and the 0.3 megapixel camera broadcasts live to your phone. In good lighting we were impressed by the clarity of the camera considering the price of this drone, but do not expect to take high quality pictures or video. The video can be captured by your phone by clicking a button on the screen. There is no physical transmitter or remote so all controls work through a free smartphone app. This might be the world’s smallest smartphone controlled drone. The app is well designed and easy to use. The app works with both iOS and Android devices. You can change features and steer all while viewing on your phone what your drone sees. The drone can be controlled using the joysticks on the phone or tilting your phone in the direction you want the drone to fly. Using your phone to control the drone is neat, but takes some practice. It is a lot like playing a game on your phone. To save weight there are no propeller guards on this drone. Here at Half Chrome we do not recommend adding a propeller guard even though they are inexpensive, readily available, and easy to install. Since this version of the Cheerson packs a camera, it can’t really afford even the small additional weight of a prop guard. A prop guard would also obstruct the the camera’s view. We recommend purchasing extra propellers instead of a blade guard. The Cheerson CX-10W is certain not the best FPV you can buy, the quality does not in any way compare to high end drones like the DJI Phantom 4. The Cheerson is, however, probably the smallest and most affordable FPV drone on the market. The CX-10W does have some drawbacks. The small size makes outdoor flying difficult in windy conditions. The 0.3 megapixel camera does a decent job of video in well lit conditions, but struggles in dimly lit areas. It is not a full HD camera. It works for recording flights, but don’t plan on taking family photos. Learning to fly using your phone can also be a challenge. The four minute flight time goes by quickly. There are other CX-10 models and they are all quite affordable. Check out our list below to find the right one for you. Use your drone with Pokemon GO? Lots of people want to use their drones to play Pokemon GO. There have been a few creative Pokemon GO players strapping their phones to drones to help them play. Some players team up and use mirroring software to capture Pokemon. It seems a company has used a drone similar to the CX-10W or CX-10WD-TX to capture Pokemon. A Dutch company called TRNDlabs seems to be working on a solution to this problem. They call it the Pokedrone. Half Chrome will review the Pokedrone when it is available for you Pokemon Go enthusiasts because right now it seems more like a publicity stunt than a real drone. If you figure out how to modify your CX-10W or CX-10WD to play let us know and we will help spread the word. For more information on using drones to play Pokemon GO click HERE. Half Chrome has done some investigating for you. The CX-10 is the base model. It is the original micro drone. It has a high and a low speed. It does not have a camera. It does not have headless mode. It usually is light blue, pink, orange or yellow. It is the least expensive and you can buy it for $9-12. It is a great place to start. The CX-10A is the next step up. It is the same as the original, but adds headless mode. The CX-10A also has three speeds instead of two. The CX-10A comes in gold, silver, white or black. You can buy it for $13-15. The CX-10C the most inexpensive model with a camera. It sports a 0.3 megapixel camera. Don’t expect to get great pictures. The 10C requires a micro SD card to record video which is not included. It does not have headless mode. There are two versions. The first is either orange or black and has two speeds. The newer version is dark blue and has three speeds. These drones typically cost $20-25. This drone doesn’t maneuver as well as the more inexpensive CX-10 or CX-10A models. The CX-10D is a colorful version of the CX-10 line. It adds a “Smart Height Hold” feature that is designed to stabilize the drone in the air. The drone will attempt to fly a consistent height without having to adjust the throttle. It may require some manual adjustments, especially outdoors or with aggressive flying. The CX-10D also has an automatic takeoff and landing. 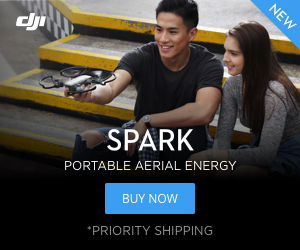 This drone does not have a camera or headless model. This nano quadcopter is either leopard patterned or decorated in rainbow paint splotches. 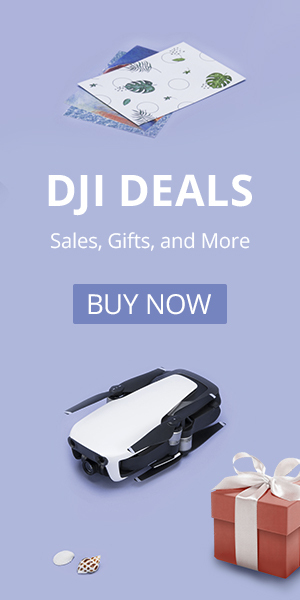 If you want a cool looking drone with some interesting features for beginners this is a good drone to start with. It can be purchased for $27-30. The CX-10W is a FPV drone. It has a 0.3 megapixel camera and streams to your smartphone using an iOS or Android app. The CX-10W does NOT have a physical remote and must be paired to your smartphone via WIFI. You control the drone with the app. The app itself is nice and makes it easy to record FPV videos right to your phone’s memory. This quadcopter also has three speeds and can do flips. It does not have headless mode. This is a fun drone to fly. Using your phone takes some practice and a physical remote is recommended for beginners. This model comes in gold, silver or metallic pink. The Cheerson CX-10W costs $35-38. The CX-10WD-TX is an upgrade to the CX-10W. This model adds a physical remote AND their altitude hold feature. It has auto take off and auto landing as well as three speeds, and can do flips. The CX-10WD-TX is a FPV drone, and like the W model it records directly to your smartphone. The remote is large and has a place to hold your smartphone which must be used for the first person view screen. The remote also has a place to store your drone when not in use. This drone looks like the W model and also comes in gold, silver or metallic pink. The CX-10WD-TX costs $55-60. No worries Half Chrome Drones has you covered. Maybe you want an aerial photography drone, or maybe you want a fun toy. Want FPV? We’ve developed an advanced system to match you to the right drone. We call it our Half Chrome Drone Cipher™. Check it out. We also are constantly updating our Best Drones Now page to help you stay current. This website contains affiliate links, which means I receive a commission if you make a purchase using these links. For full details visit the disclosures and disclaimers page.